With an ever increasing number of the population using social media, businesses are now communicating with moe potential prospects online. Social media marketing is getting a big boost from AI technologies helping evolve to produce more targeted content, identify and eliminate fake news, help with influencer marketing, and a variety of other things. 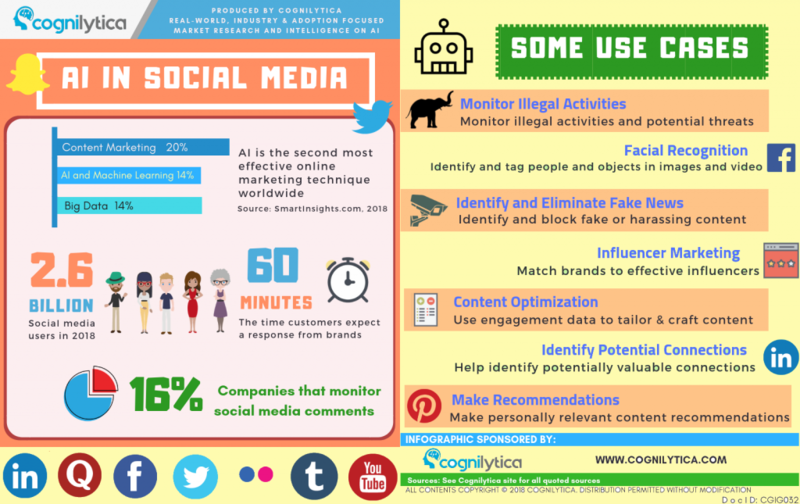 In this infographic Cognilytica showcases various use cases for AI in social media marketing.